Today is US House Speaker Paul Ryan’s deadline for a revised NAFTA agreement. If a new deal is not officially endorsed by the US, Canada and Mexico by tonight, Congress will not have a chance to ratify it before this year’s midterm elections. Compromise does not appear likely by the end of today, as seven rounds of negotiation from last August to March have yielded little progress. Indeed, during special meetings in Washington last week, disagreement still remained over auto manufacturing and labor laws. When, or if, a new NAFTA deal is struck after today, it will face the scrutiny of a new US Congress as well as a new Mexican president and legislature. This amounts to great uncertainty around NAFTA with US midterm elections looming in November. The unpredictability risks upsetting the Republican majority’s Midwestern base, which benefits from agricultural sales to Mexico and Canada via NAFTA. 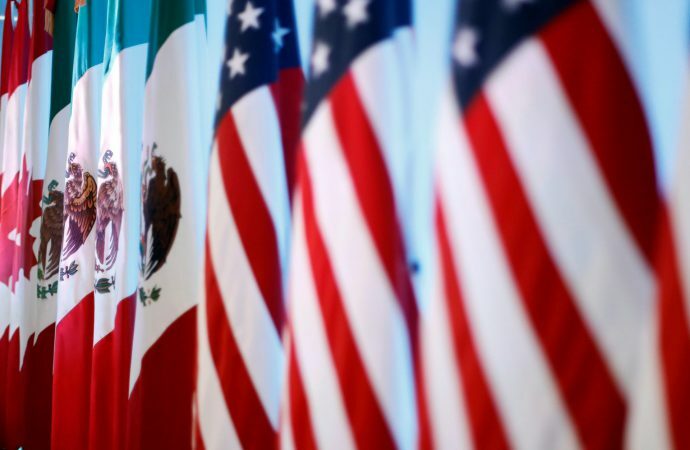 If Republicans do not backtrack on scrapping NAFTA, the Congress that ultimately decides the treaty’s fate may well contain more Democrats. This would make NAFTA ratification even more difficult, as stronger bipartisan support on this divisive trade pact would be required.